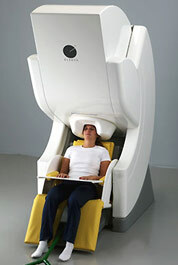 ABSTRACT: Resting-state fluctuations have been observed across various cognitive and disease brain state. Though resting-state fluctuations have received a great deal of interest over the past few years, the underlying biophysical mechanism of their generation is not known. Using computational modeling, we show that spontaneous resting-state fluctuations arise from dynamic ion concentrations, and are influenced by Na+/K+ pump, glial K+ buffering, and AMPA/GABA synaptic currents. These findings provide new insights into the biophysical mechanisms leading to the generation of these fluctuations, and may provide a better understanding of how different cognitive or disease states may influence resting-state activity.